Tribune file photo Wayne County's main tourist attraction is Capitol Reef National Park, which is celebrating its 80th anniversary as part of the National Park Service. This barn inside the park, near the campground, harkens back to the area's agricultural past. 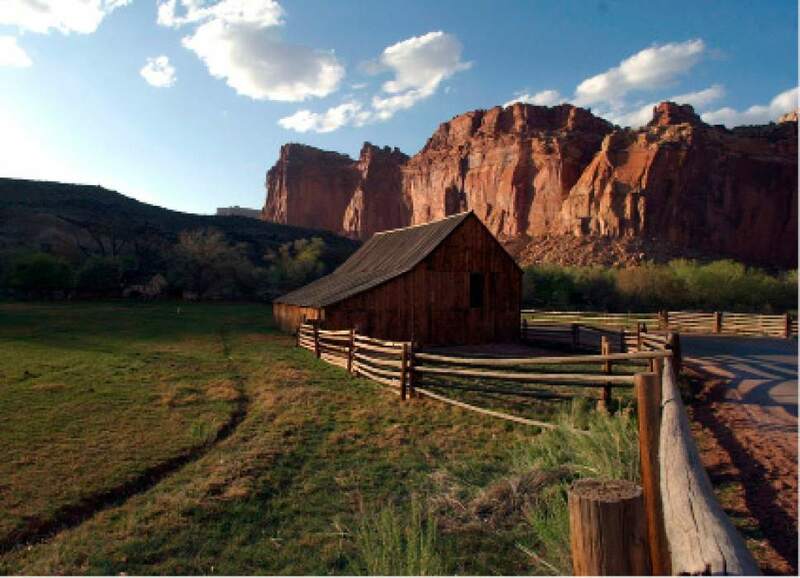 Capitol Reef National Park will celebrate its 80th anniversary as part of the National Park Service Wednesday with a variety of special events. President Franklin Roosevelt proclaimed Capitol Reef a national monument on Aug. 2, 1937. President Richard Nixon then signed legislation that created Capitol Reef National Park on Dec. 18, 1971. The day&apos;s celebration begins at 9 a.m. outside the visitor center, where there will be a brief ranger-led history talk and complimentary cupcakes. At 8:45 p.m. at the campground amphitheater, artist-in-residence David Boys will perform some of the compositions he has created in parks and monuments throughout the country.